We are in the waning days of the infamous recurring Uranus Pluto Square, which began at the time of the Global Financial Meltdown, precipitating the emergence of the Grand Cardinal Cross from 2010 onwards. 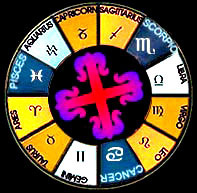 We have written many articles about this stellar configuration, emphasizing that Uranus in Aries square Pluto in Capricorn and the Grand Cardinal Cross co-incide with the breakdown of existing global financial and political systems, in preparation for the reconfiguration of our fossil fuel based global capitalist economy and the American dominated geo-political and cultural institutions that have maintained the current system over the last 75 or more years, since the end of World War II. As we predicted in our article of February 2008 entitled The Coming Collapse of Globalization, globalization as a financial, political and cultural force has been under assault since the onset of the Uranus-Pluto Square and is under increasing assault, weakening every year. The unraveling of American Post-World War II geo-political, financial and cultural hegemony has become stark and unmistakeable during the first year of the Trump presidency. Donald Trump's Presidency represents the first conscious attempt by an American administration to unravel the liberal democratic values underlying America's post World War II hegemony. Trump believes in an "America First" set of policies reflecting his view that the world is engaged in a financial, political and cultural "war of all against all", and that it is no longer in US interests to maintain and underwrite a "New World Order" sustained by expensive military alliances and extensive global diplomacy. 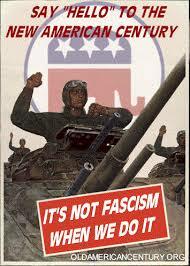 As President, Trump behaves as much as possible as an authoritarian leader, constrained somewhat by the pushback from entrenched intelligence agencies and the political forces that created and sustained American globalization for so long, epitomized by the Bush and Clinton families, whose representatives congregate on MSNBC daily to attack Trump for his ties to Russia and his proto-fascist strongman rule. Trump responds with a flurry of Twitter posts designed to create his own reality, disengaged from any objective view of facts or the historical record. This increasingly shrill political war of words has engaged America in what amounts to a political and cultural cold war. Even worse, this is the first time in my lifetime that a new federal tax bill has targeted the states that voted for the President's opponents, but we now see this in Trump's tax legislation, which will cut deductions for sky-high property taxes in predominantly Democratic coastal states. This is an act of economic war against the President's political enemies that surely will result in further escalation of political hate rhetoric and potential retaliation if Democrats ever regain control of any portion of the federal government. Right now Republicans control Congress, the Supreme Court and the White House, and the majority of state governments as well. So the frustration of globalization proponents and Democratic political operatives will only grow as their impotence is increasingly revealed. Trump's ascendancy coincides with a global trend toward authoritarian strong man rule and a devaluation of democratic values and human rights around the world. The front page of today's New York Times features a story about the spread of authoritarian rule and its increasing popularity in Asia, Europe and, yes, America. China has abolished term limits for its Executive, and China's President Xi has set himself up to be President for life. The Times notes that in the past such an action would have resulted in a global wave of condemnation, but in the current climate Xi will be one of many authoritarian strongman leaders, many of whom have already been warmly congratulated by President Trump, who has an affinity for all such anti-democratic leaders. Renowned Princeton University scholar and peace activist Richard Falk, who specializes in global and international affairs, has published an important new article about Donald Trump and the decay of the American system of globalization and liberal democracy entitled America’s ‘Liberalism’ & Other Inhumane Styles of Governance At Home and Internationally . Falk summarizes the deplorable state of geopolitics and its pernicious effects on humanity's prospects for the future. "Trump’s presidency has so far meant a record military budget, relaxed rules of military engagement, geopolitical militarism, irresponsible regional coercive diplomacy, a regressive view that the UN is worthless except as an enemy-bashing venue, a negative assessment of multilateral treaties promoting a cooperative approach to climate change and international trade, as well as a hawkish approach to nuclear weaponry that features bravado, exhibits unilateralism, and in the end, employs hard power and irresponsible threats to achieve goals formerly often pursued by liberal international global leadership," Falk explains. "Without exaggerating the benefits and contributions of liberal internationalism, it did give science and rationality their due, was willing to help at the margins those suffering from slow and uneven economic and social development, and relied on international cooperation through lawmaking and the UN to the extent feasible, which was always less than what was necessary and desirable, but at least, not taking such a cynical and materialist view of the feasible as to create a condition of policy paralysis on urgent issues of global scope (e.g. climate change, nuclearism, migration)." "Trump’s ideological prism. . . is alarmingly similar to that of the many other leaders throughout the world who have recently been leaning further and further rightwards," Falk continues. "The internal politics of many states has turned toward chauvinistic and mean-spirited forms of autocratic nationalism, while cooperation in meeting common global challenges has almost disappeared. Instead of hope and progress, the collective consciousness of humanity is mired in despair and denial, and what is more, the dialectics of history seem to be slumbering, with elites and even counter-elites afraid of utopias on the basis of a widespread (mis)reading of 20th century political experience, seemingly entrapped in cages constructed by predatory capitalism and rapacious militarism, designed to render futile visions of change adapted to the realities of present and emergent historical circumstances. Inside these capitalist and militarist boxes there is no oxygen to sustain liberating moral, political, and cultural imaginings. Trump is not only a distasteful and dangerously dysfunctional leader of the most powerful and influential political actor in the world. He is also a terrifying metaphor of an anachronistic world order stuck in the thick mud of mindlessness when it comes to fashioning transformative responses to fundamental challenges to the ways our political, economic, and spiritual life have been organized in the modern era of territorial sovereign states." Global climate change is the most important challenge facing humanity in the 21st century and Donald Trump and the Republican Party claim to believe it is a figment of our overheated imaginations despite overwhelming scientific evidence to the contrary. There is no more scientific debate about climate change than there is over the fact that the earth is a spheroid, not a flat pancake. Despite the urgency of the situation, the Democratic Party has not made the creation of a new Green economy a legislative priority or a prime political cause. At this Full Moon featuring a powerful Neptune in Pisces, it's a great time to provide an update on the latest science concerning global climate change, which we featured in our September 2017 Cosmic Weather Forecast entitled Neptune in Pisces and the Era of Global Flooding: 2011-2025. 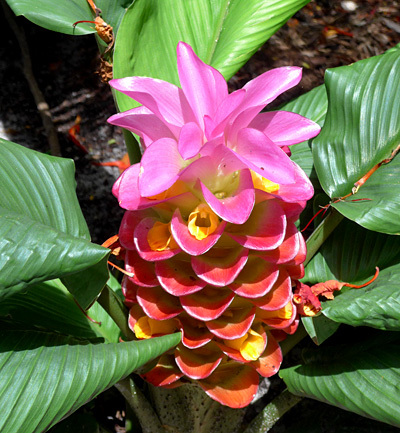 Spring weather arrived here in Boca Raton months early this year, and unseasonable spring conditions have appeared up and down America's East Coast this winter. In Florida February brought near record temperatures, more common in May than mid-winter, and the pollen from blooming plants and pine trees has left a dense layer on the surface of our pool. "This is happening in part due to the polar vortex," according to the National Oceanic and Atmospheric Administration in an article entitled Spring Weather is Arriving Alarmingly Early This Year. "Yes, that polar vortex that brought Arctic air to the eastern U.S. to start 2018." "But rather than dropping into the region again, it’s instead being bifurcated into two areas of intense chill split between western North America and Eurasia. Those areas will be much cooler than normal, but eastern North America, sitting right between all that, will be shielded by an atmospheric ridge that will allow warm air to hang around. Some of that air will reach all the way into the Arctic Ocean, which is already facing temperatures well above normal for this time of year. Sea ice will suffer and is likely headed to a near-record or record low maximum (if it’s the latter, it would be the fourth year in a row to hit that mark)." "Temperatures could be up to 35 degrees Fahrenheit above normal for this late February. The most abnormal warmth will settle over New York and New England, opening the door to spring-like conditions." This is not just a curious weather anomaly but rather an indicator of long term disruption of climatic conditions that date back 11,700 years, the entirety of the period known to geologists as the Holocene, during which humanity established agricultural settlements, began scientific research into the movements of the stars, and created a more and more energy intensive civilization, culminating in the present globalized fossil fuel based 21st century capitalist culture of conspicuous consumption and rampant economic inequality. "The Holocene is over," explains Ian Angus in his new book Facing the Anthropocene: Fossil Capitalism and the Crisis of the Earth System. "The Anthropocene has begun. That cannot be reversed. The climate changes already under way will last for thousands of years. No currently available technology can restore extinct species to their former abundance. The acid in the oceans cannot be removed. Many glaciers have melted and much polar ice is gone forever. The oceans will continue rising." ". . .Dramatic destabilization of the Earth System since 1945 [has caused] a shift so significant and sudden in geologic time that climatologist Paul Cruzen famously coined the term “Anthropocene” in 2000 to refer to the new geologic era marked by human impact," Michael War explains, in a review of Angus' book in the International Socialist Review. Most modern humans believe that a stable climate has persisted on the planet since more or less the time of the dinosaurs, when it was obviously a lot warmer, but that is not really the case. ". . .New data shows how climate volatility was more common in the prior 2.5 million years than the warm stability of the Holocene, which began 11,700 years ago and bracketed the rise of agriculture and class society," Ware continues. "Sudden heating and cooling is more common, caused by subtle wobbles in the Earth’s orbit. Angus quotes geologist Richard B. Alley to drive home the point that climate change can happen quickly and that recent human activity is as potent a geological force as changes in the Earth’s orbit, which have played a role in suddenly shifting average surface temperatures up or down." "Large, abrupt climate changes have repeatedly affected all or much of the earth, locally reaching as much as 10°C change in 10 years," Angus concludes. " . . . The abrupt changes of the past are not fully explained yet, and climate models typically underestimate the size, speed and extent of those changes. Hence future abrupt changes cannot be predicted with confidence, and climate surprises are to be expected." In short, we are currently in a Neptunian fog concerning the likely short term, medium term and long term effects of climate change despite the efforts of the entire global scientific community, because humanity has never faced a problem this large, this complex, and this hard to forecast. Climate forecasts are continually tweaked and updated and the latest updates are far from encouraging. In fact they indicate that we are in a planetary emergency, an emergency which is not acknowledged by the vast majority of people in the world today, and which is minimized or ignored by the political leadership in America. Satellite-based view of the Arctic. The images for this scene were captured on September 2, 2012, by the Visible Infrared Imaging Radiometer Suite (VIIRS) on the Suomi NPP satellite. The composite was compiled from 14 orbits of the satellite and multiple imaging channels, then stitched together to blend the edges of each satellite pass. The record lowest minimum ever observed in the satellite record occurred on September 16, 2012, when sea ice plummeted to 3.41 million square kilometers (1.32 million square miles). This image shows the area two weeks earlier. The edges of the ice pack are reasonably visible, as are some fractured areas, but some details are obscured by clouds. Imagine a world where there is zero temperature differential between the equator and the North Pole. Needless to say in this scenario polar ice has long since melted completely. In this scenario global sea level rise engulfs the major coastal cities of the world entirely. In this scenario it's quite possible that gargantuan methane deposits in polar regions are released into the atmosphere, accelerating global warming, changing the composition of our atmosphere into a toxic stew and rendering the oceans uninhabitable for oxygen breathing creatures. Now imagine that to forestall this doomsday scenario we have five years to act. This is not the apocalyptic raving of some cranky environmentalist hippie monkey wrencher, but rather the sober assessment of Professor James G. Anderson of Harvard University, who addressed climate concerns in a recent speech at the University of Chicago in January 2018, when he received the Benton Medal for Distinguished Public Service, in part, for his groundbreaking research that led to the Montreal Protocol in 1987 to mitigate damage to the Ozone Layer. Robert Hunziker reported on Anderson's speech in a Counterpunch article entitled There is no time left: Accelerated climate change is a game changer. 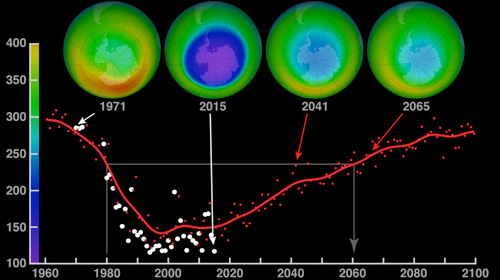 Ozone hole recovery projection, 1960-2100. This file is in the public domain in the United States because it was solely created by NASA. In 1987, "Anderson was the force behind the most important event in the history of atmospheric chemistry, discovering and diagnosing Antarctica’s ozone hole, which led to the Montreal Protocol," Hunziker reports. "Without that action, ramifications would have been absolutely catastrophic for the planet." "Stratospheric ozone is one of the most delicate aspects of planet habitability, providing protection from UV radiation for all life forms. If perchance the stratospheric ozone layer could be lowered to the ground, stacking the otherwise dispersed molecules together, it would be 1/8th of an inch in thickness or the thickness of two pennies. That separates humanity from burning up as the stratospheric ozone absorbs 98% of UV radiation." "In his acceptance speech, James G. Anderson, Harvard professor of atmospheric chemistry, now warns that it is foolhardy to assume we can recover from the global warming leviathan simply by cutting back emissions." "Accordingly, the only way humanity can dig itself out of the climate change/global-warming hole is by way of a WWII type effort with total transformation of industry off carbon and removal of carbon from the atmosphere within five years. The situation is so dire that it requires a worldwide Marshall Plan effort, plus kneeling in prayer." "Additionally, Anderson says the chance of permanent ice remaining in the Arctic after 2022 is zero. Already, 80% is gone. The problem: Without an ice shield to protect frozen methane hydrates in place for millennia, the Arctic turns into a methane nightmare. This is comparable to poking the global warming monster with a stick, as runaway global warming (“RGW”) emerges from the depths. Interestingly enough, the Arctic Methane Emergency Group/UK, composed of distinguished scientists, seems to be in agreement with this assessment." "Assuming professor Anderson is as accurate now as he was about the Ozone dilemma, then what can be done? After all, the world’s biggest economy, which has over-reaching influence on the biosphere, is under the influence of anti-science leadership. In fact, the Trump group is driving scientists out. France is hiring left and right under its Make Our Planet Great Again initiative. Thirteen of the initial eighteen French science grantees are from the U.S."
New research from NASA shows that sea level rise rates are accelerating due to the melting of large glaciers in Greenland and Antarctica. The key driver of this melt is human fossil fuel burning and related accumulation of heat-trapping carbon dioxide in the Earth’s atmosphere. Carbon dioxide levels this year will hit near 412 ppm in April-May, a level not seen in 10-15 million years. See the NASA video here. More alarming still, a new study just published in the open access scientific journal Earth's Future finds a median sea level rise projection of 4 feet and 9 inches during the 21st Century if greenhouse gas emissions remain on their current high trajectory. The Intergovernmental Panel on Climate Change says we can expect the oceans to rise between 11 and 38 inches (28 to 98 centimeters) by 2100, and that would be enough to swamp many of the cities along the U.S. East Coast. A rise of 4 feet nine inches equals 144.78 inches, and would certainly create a global emergency with over 150 million climate refugees worldwide, the demise of most coastal cities, and the implosion of the global economy as a consequence. Not to mention widespread global warfare, panic, and civilizational collapse. "The new study paints a far more alarming picture compared to what the IPCC found, which was a median projection of two feet and five inches of sea level rise by 2100 under a high emissions scenario," according to a report by Andrew Freeman on the Mashable website." Most sea level rise predictions since that report was published have indicated that figure was too low, however." "The study shows that global average sea level is projected to increase by one foot by the year 2050, and several more feet by the year 2100, depending on the significance of any cuts to greenhouse gas emissions," Freeman reports. "If the temperature targets in the Paris Climate Agreement are met — which is a big if at the moment — then we're unlikely to trigger a rapid Antarctic meltdown, the study found." "Prior sea level rise projections have not included the recently discovered mechanism of marine ice-cliff instability in Antarctica. Instead, those projections relied on other assumptions of how significantly the Greenland and Antarctic Ice Sheets might melt during the course of the 21st Century. Nor have they included all of the ways that floating ice shelves might disintegrate rapidly, either, weakening inland ice," Freeman explains. "The good news is that at this point, we have a pretty good fix on what will happen through 2050," said the Earth's Future study's coauthor Michael Oppenheimer, a climate scientist at Princeton University. "That means the time to implement the first phase of adaptation is NOW - we have a credible sea level range for that period. But we need to implement resilience flexibly while we start planning for the period beyond 2050 because projections are unlikely to narrow for the later period for a long time." In conclusion, let us all ponder the words of the Dalai Lama in a video recorded December 17, 2017, which has received 1.6 million views on YouTube. 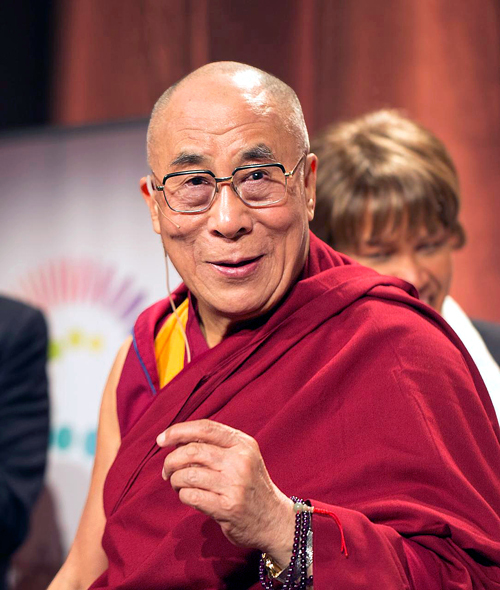 Addressing the need for dramatic global change to bring about peace in today's increasingly warlike world, the Dalai Lama explains that Praying Won't Solve Your Problems. 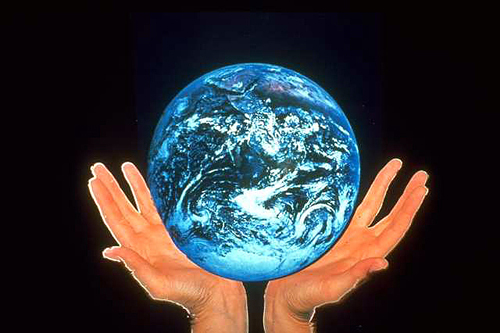 If we want peace in the world, if we want a livable climate for our children and grand-children, we must act. We must accept the messy job of becoming politically involved, and we must make political activism part of our spiritual practice. For these intractable global problems are spiritual problems as well as political or environmental problems, and only a spiritually infused political movement can adequately address these issues. There is no reason to believe today's political and corporate leaders will make this change for us. There is no reason to believe that the invisible hand of the free market will somehow automatically, through the activity of the current economic war of all against all, magically produce a sustainable, equitable global civilization. There is no reason to believe that current great power nationalistic political formations will bring us anything but war, bloodshed and suffering. Only a newly awakened spiritual activism can bring about the new civilization we all hope to see. Jane and I hope that this Full Moon you will receive the grace and guidance you require to help you achieve your spiritual and material goals and we pray that all of us will be granted golden opportunities to be of service to the world, in part by participating in some small way in a growing global spiritual and political movement to achieve peace, environmental stability, and equality everywhere in the world. Nothing less will secure humanity's future. Anything less will result at best in a Global Dark Age, and at worst in a global extinction event. If you see no evidence of any such movement in your world, ask for guidance to help you discover how you can be of service to the world by working in some small way to help bring about the monumental change that is required in today's world.